Tell us about Spacebar Gallery and what things we can expect to discover in your space. What was the inspiration with opening Spacebar Gallery? Being a designer and maker of clothes I was surprised by the lack of support for independent designers here in Tasmania. After approaching a couple of outlets with my fashion designs I decided to open my own store which would allow me all the freedom I wanted, as well as offering support to other local designers. 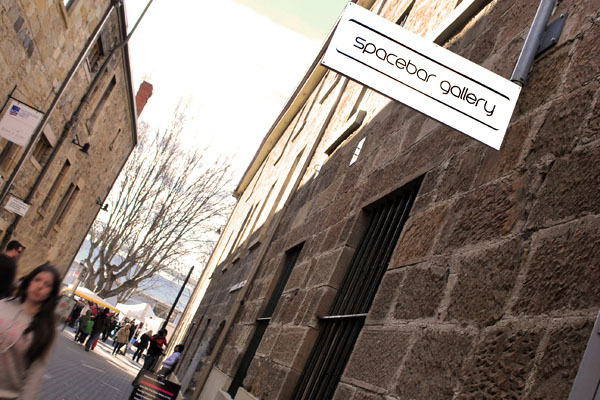 Spacebar Gallery was born quickly and gained interest rapidly. The large number of designers and artists who were popping in to the store, phoning and emailing expressing interest in being a part of the gallery quickly confirmed that I was not the only one out there with concerns about the accessibility and representation of independent design in Australia. Can you tell us about the building and the space the gallery occupies? The large four story building was erected in 1843 as a warehouse intended to store whale oil and imported goods. In the early 20th century this and adjacent buildings were transformed into fruit processing and jam making factories. Our little gallery only occupies about a small fraction of the entire building. 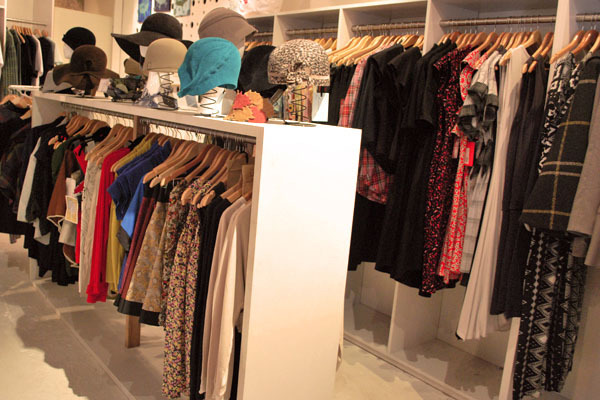 Our pride and joy are the original sandstone walls which constitute the external structure of the shop. The dark timber ceiling with large support beams is also a feature. This mix of old and new, raw and polished, crisp and worn elements really accentuates the mixture of artists that we represent. The rest of the building is occupied by three art galleries, several artist studios, a metal-work co-op, a Tasmanian produce delicatessen, a performance theatre and the cutest little café in town! Who is the team behind Spacebar Gallery and what are their roles? Well when I started ten months ago it was pretty much me! I had a few really supportive assistants which helped me over the first three months of the busy summer period. Then Alex and Calista joined the team and pretty much revolutionised how the shop ran. Although we don’t operate as a co-operative, the staff do have work in store. 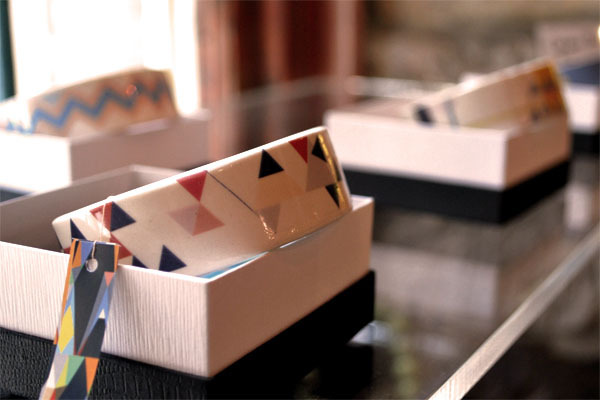 This gives them a great understanding of both sides of retail; as a maker and a customer. Their energy and commitment to representing me and all the other artists in store is a true virtue that can’t be sneezed at! What labels do you stock in your shop? 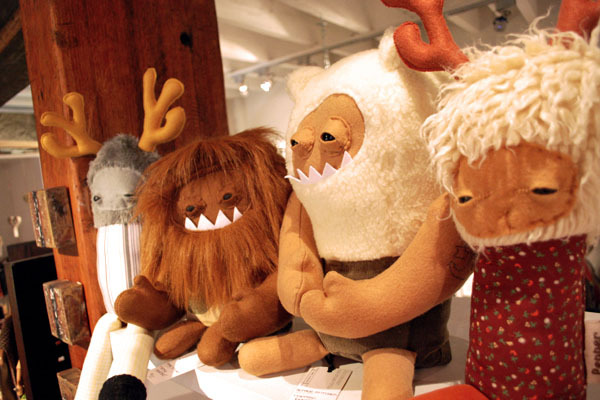 Spacebar Gallery represents over 100 artists in various ways. 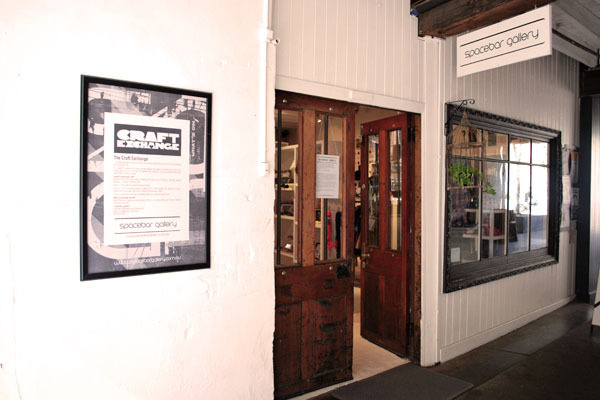 We are one of the few boutique galleries in Tasmania which stock both fashion and visual art. The mix allows us to support multi-disciplinary talents such as Rhett Kilner from Bronzen Temple, who transfers etching prints on to t-shirts! Among the other clothing labels are Pixel Ink, Art Vanderlay, Queen Clothing, as well as Borderline Rif Raf and Jesen for the boys. Jewellery and accessory designers in store range widely; silver-smiths Michelle Clark and Mely Frank, porcelain pieces from Sarah Woodward, millinery from Isabel Audrey, purses and bags from Giggling Gertie, leather costume jewellery by Pine Lime and bold statement pieces from Cat Rabbit and Elgar and Lyle. We basically aim to have a diverse range of products which are innovative, unique, quirky, and fun! We really do have a bit of everything! 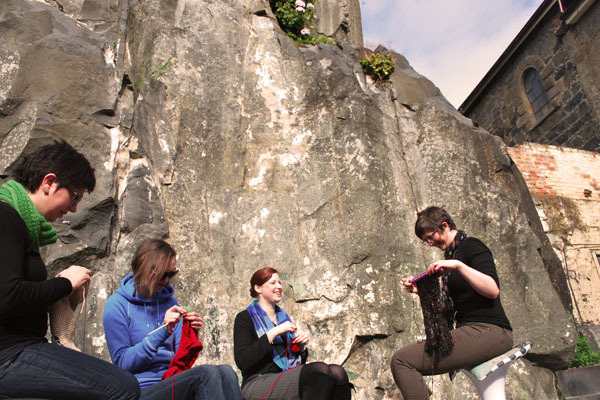 What inspires you about your surroundings and what other aspects about Hobart do you love? Almost 7 years ago I moved from The Central Coast of NSW to Hobart seeking opportunities and a better lifestyle to raise a young family, we accepted the obvious change in weather for what is a unique and special city rich in history, beautiful architecture, amazing produce and not to mention the friendly folk you meet everywhere. The summer arts season in Hobart is fantastic. There are so many great festivals across all creative disciplines. The visual arts come to life, music and theatre are prevalent during The Taste of Tasmania and Mona Foma. I love the community feel in Hobart, the loyal customers who return weekly, and even those that we see rarely but will pop in just to catch up! It really makes it all feel worthwhile! What are your favourite aspects of the gallery? The positive feedback is probably the best aspect for me! To have so many supporters who genuinely thank me for doing what I do. There is so much work that goes on behind the scenes for a store like Spacebar Gallery, so for people to really understand and value my effort is fantastic. And a bit of customer praise can really make my day, make all the hard work feel worthwhile! I do love putting in the effort and making everything run smoothly at the shop-front, for all the designers that had similar troubles to me a few years ago. Also, as the gallery is occupied by so many designers, many of whom rent spaces, the shop is always changing. It’s like it has its own personality. When I come into the store after a couple of days working from home the place can look entirely different! What new projects are coming up for Spacebar Gallery? We are really excited to be announcing the arrival of Kate McCarthy on board the space-ship! Kate has worked interstate and in Tasmanian for many years. She is a great contemporary painter whose work we love! Also, we have just introduced a work-for-space scheme which will see a handful of artists to coming into the store weekly to work for a day and fill up a space with their products. This will enable them great freedom with respect to the products they want to sell and also get some fantastic feedback from customers, as well as providing experience in the retail side of the arts industry which so many artists struggle with. Spacebar Gallery’s first birthday should also be an event to mark on the calendar… the first week in December!